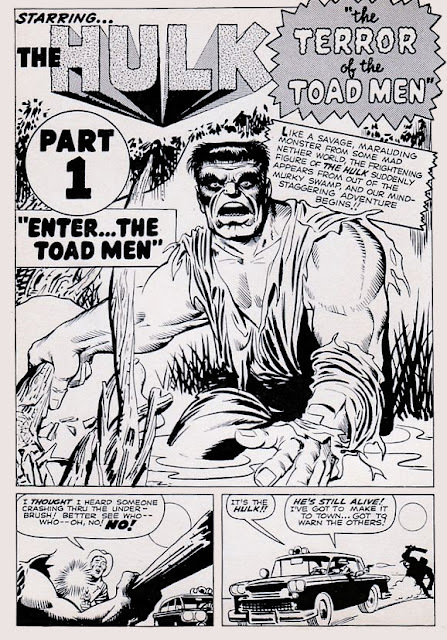 Simon Williams Comic Artist: Swamp Hulk! 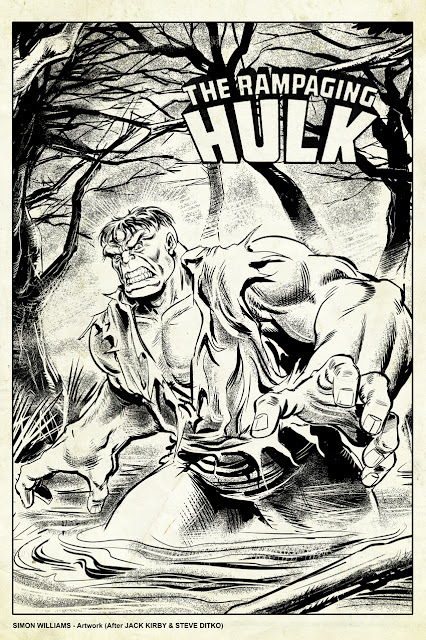 Here's my latest Hulk piece... inspired by a classic Hulk image from Incredible Hulk Vol.1 #2 (drawn by Jack Kirby with inks by Steve Ditko... very moody stuff!). I decided to draw my version as it would have looked if it appeared in the 1970's Rampaging Hulk Magazine.